Why not give springtime a run for its money with a revamping of your own? Let go of that hairstyle you’ve been rocking since last October, and give your coif new life at the hands of some of Tokyo’s best English-speaking salons. Metropolis readers who bring this ad for color treatment receive 15% off. Valid until June 30, 2015. At a typical Japanese hair salon, you are confronted by an army of staff fawning over you like a movie star or minor member of the Royal Family. Instead of just getting on with the job, they wrap you up like a Victorian doll and subject you to endless interrogation about what you eat and don’t eat, where you’re from, the weather in Japan versus your home country, and other delightful topics. This might be great for some people, but if you just want a haircut with no extra hassle you should zero in on Dude. 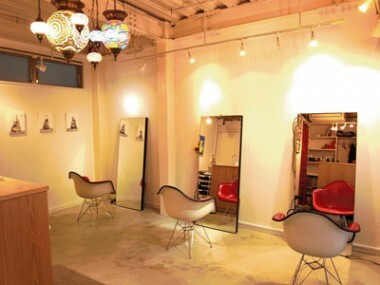 Located among the trendy lanes of Shimokitazawa, Dude is a salon with its priorities firmly in place. Friendly and efficient, the staff give both dudes and dudettes what they came for—the stylish haircut that suits them best. They also provide a totally relaxing atmosphere that leaves customers feeling peaceful. So aim for a hassle-free life—and haircut—at Dude. Free consultation in English for Metropolis readers. Gold Salon Tokyo is a top choice for foreign residents seeking a hair salon experience closer to what they might be used to back home. The fact that 98 percent of the salon’s clientele are foreign residents is a testimony to their skill with foreign hair. English is the first language in the salon, so communication—from booking through to consultation—gives Gold the leading edge. The stylist/colorists have many years experience working with the variations in hair texture and myriad of color options demanded by their discerning, international clientele. As salon owner and director Howard Regner likes to put it, “If the U.N. set up a hair salon, it would pretty much look like Gold!” So whether it’s a great cut, superb color, or the smoothest Brazilian keratin treatments in town, the choice is simply Gold! 20% off our entire range of services on your first visit! Hayato Salon is bringing a new option to those looking to make their daily hair care easier. Their formaldehyde-free keratin treatment is the first customizable, long-lasting smoothing service for silky smooth hair. It makes unruly, frizzy hair manageable, softens waves, smoothes overall hair structure, reduces daily styling time, and lasts for up to 5 months. In addition to keratin treatment, Hayato offers a wide range of treatments, and satisfaction is always guaranteed. Each team member is bilingual and does their very best to create a relaxing, comfortable, and classy environment. The stylists are all experts—especially at handling the varied hair types of foreigners—thanks to a training program developed by founder Hayato himself. Stylists receive on-the-job training at Hayato New York for two years, where they learn to speak English, so when they debut at Hayato Tokyo they’re more than ready to serve you. English-fluent Kenji Suzuki is one of the many talented stylists who have come together at the Bondz Salon in Azabu-jūban, where the relaxed, boutique-like atmosphere makes you feel right at home. Having held high-profile positions in the international beauty industry for more than 20 years, Kenji spent most of those years in New York City. In fact, he stills takes care of his stylish clientele there on periodic visits to the U.S. Since 2013, he has shared the styles and techniques that he learned and honed in the Big Apple with his Tokyo clients, specializing in dry haircutting for men and women, and offers color and perm treatments. Whether a patron has a specific look in mind or wants to try out something new, Kenji works closely with them to ensure they leave with a style that follows trends, yet still brings out their own personal beauty. “For your hairstyle, for your lifestyle” is his motto. Changes are a big commitment! At Sin Den, we so get that! When you’re ready to make a change and freshen up for spring, our stylists are right there to discuss how to go about it, and how to make it work for you. We know what’s trending now, but we also know that it’s “old-fashioned” to simply follow trends. What’s hottest this season is to find the look that makes you feel fabulous. Whether you’re an international banker, domestic diva, fashionista, or chic kid, dare to be different and dare to be you. 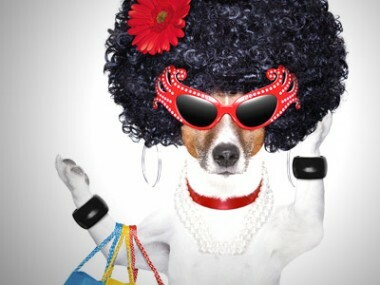 No style is crazy if it’s yours, and puts a little strut in your step! Woof! First-time Shellac nail coloring manicure for ¥4,500 or pedicure for ¥6,500. 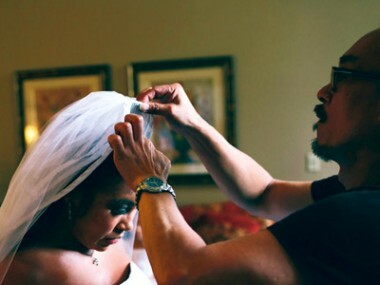 VIP Creative Hair International is there to meet all your hair care and beauty needs for any special occasion. Their team of experts has served Tokyo’s Japanese and foreign communities for many years, and they work to provide a relaxing and refreshing atmosphere of pure luxury in their private treatment rooms. 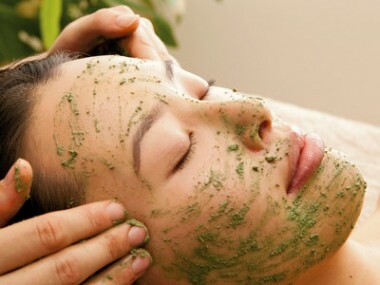 Their exclusive tewaza (hand technique) spa relaxes the head and scalp muscles, improves circulation, stimulates facial muscles, and enhances your body’s natural healing powers. The salon staff have extensive experience in the U.S. and Japan, and can work with a full range of hair colors—as their many loyal foreign customers can attest. 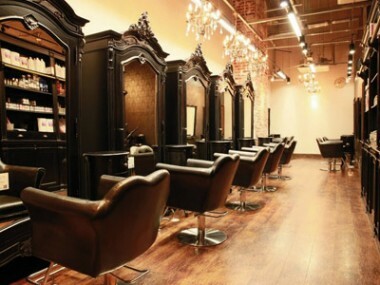 Leave your stress behind, relax, and enjoy the VIP treatment at this exceptional hair salon! 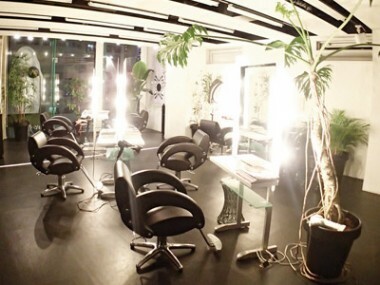 Mention Metropolis and receive free Kerastase hair treatment (¥3,000 value) and more! 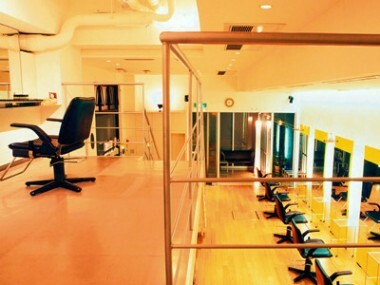 To visit Watanabe Hair Dressing is to experience the best of Tokyo’s hair salons, where English-speaking staff pamper clients from start to finish and use unique techniques to create sophisticated looks. If you’re looking to discover a great new style this summer, a visit to Watanabe Hair Dressing may just be a step in the right direction. Forbes once called Aki Watanabe “the best hairdresser in Tokyo.” Trained at the Vidal Sassoon and Toni & Guy academies, his own salon, Watanabe Hair Dressing, celebrated its 20th anniversary last year. Aki has done hairstyling for magazines such as The Face and i-D, and worked for brands like Red or Dead. Some of his celebrity clients include Beat Takeshi, architect Paul Tange, and Massive Attack. But you don’t have to be an A-lister to enjoy his latest styling trends and techniques. Aki has trained his young staff to provide great coifs at affordable prices for everyone. 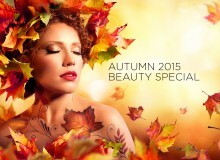 Metropolis readers visiting for the first time receive 10% off all hair services. 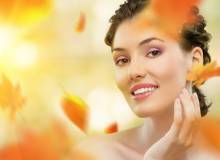 Turn back the years “naturally” with Elana Jade’s amazing organic peeling course! Chosen by celebrities such as Nicole Kidman, Gwyneth Paltrow, and Kate Hudson, Ilsci Organics offers the benefits of a chemical peel without the potential long- or short-term chemical damage. For this month only, Elana Jade is offering this unique four-treatment course for only ¥42,000. 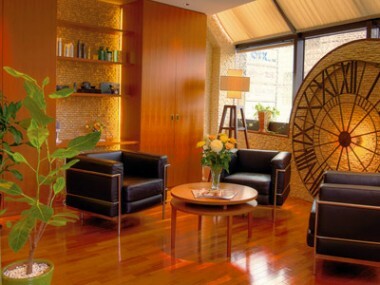 The salon is a short five-minute walk from Roppongi Hills in Azabu-Jūban, and exclusively uses certified organic ingredients in all treatments. Elana Jade also specializes in waxing (specifically Brazilian wax), and organic facials, as well as hot-stone and oil massages. They also have specific ranges for men, brides, and mommies-to-be, making Elana Jade your oasis in the heart of Tokyo. Springtime is upon us, and that means it’s time to lose the scruff and do a little “manscaping” to look your best for the warmer weather and outdoor activities. MDSA Hair Removal Salon, just a two-minute walk from Azabu-Jūban Station, offers secluded treatment rooms, English-speaking staff, a reservation-only policy, and an atmosphere that caters to both men and women, so it’s not all feminine. 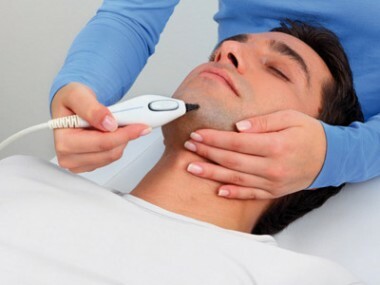 The tools and procedures used to remove unwanted hair from backs, shoulders, bellies, and those “mankini” lines come direct from the U.S. Head in for a free consultation and a localized hair-removal trial to see for yourself how it works. You’ll be impressed by the efficiency, minimal discomfort, and good value. Rooms can service two people, so bring your friend or girlfriend along to also benefit from MDSA’s service while they hold your hand—if you’re man enough! Shou Beauty Salon, located just five minutes from both Omotesandō and Meiji-Jingūmae stations behind Omotesandō Hills, last year celebrated 15 years in business, during which they have served more than 30,000 customers from many countries. Owner/beautician Hiromi Matsumaru understands all skin types, having trained in the U.S. and Australia, and Shou’s wide range of treatments includes many that you would find back home, such as Brazilian waxing, deep cleansing facials, manicures and pedicures (including speedy Shellac polish), and eyelash tinting in popular colors like blue, black, and brown. 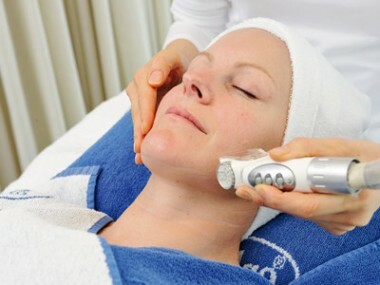 A hugely popular treatment is the Endermologie facelift, which utilizes the latest techniques to give you a double lift, stimulating revitalization of your collagen and further brightening your skin with a CO2 mask.